That’s the name of the event we’ve been working on putting together over the last few months! It will be held on October 20th from 4:30pm – 9pm. In celebration of World and U.S. Food Days, Just Food is showing the movie “Fresh” and hosting a panel discussion on food justice and food security issues at the Cal Maritime Academy in Vallejo, CA. There will also be information tables on food related issues, as well as a showcasing of our local and regional farms and wineries. A light “farm-to-table” fare will be offered by the Cal Maritime Academy’s Cafe, local wine and beer tasting, and homemade (and hand pressed) spiced cider will also be available. A fun event for the entire family! A portion of the proceeds from the event will benefit Friends of Loma Vista Farm and Food Rescue.Advance tickets are $10 through Brown Paper Tickets: http://justfood.brownpapertickets.com/. Tickets will also be available at the door for $15 provided the event does not sell out 24 hours in advance. 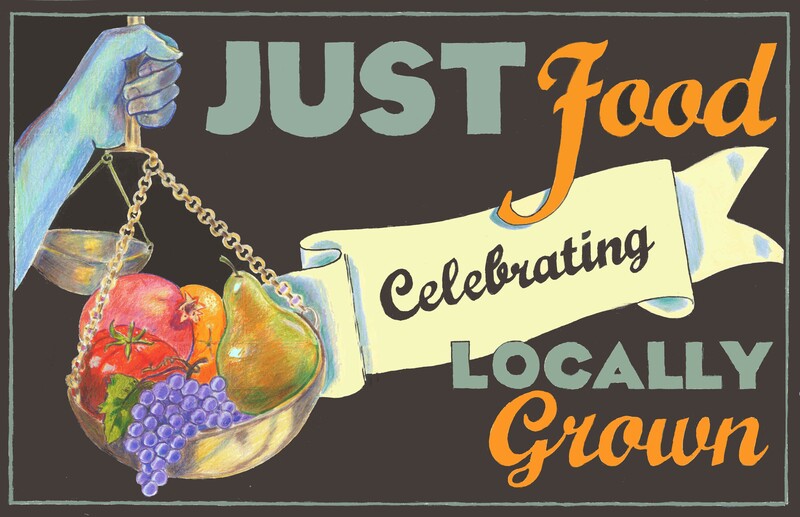 This event is sponsored by the Just Food: Celebrating Locally Grown Steering Committee. A group of Vallejoans, including us here at Dog Island Farm, who care about celebrating and supporting local food systems.